Case law is all over the map when it comes to unintentional omissions. As bankruptcy trustee Alexander Edgar explains at the Department of Justice website, some courts have held that a bankruptcy case must be reopened to include the omitted debt before it can be discharged, and the court must consider the good faith of the debtor and rights of the creditor. This has been called the "equitable" approach. Other courts have ruled that an omitted debt is automatically discharged if the debtor has no assets, since he would not be able to pay the debt regardless of whether it was included in the original petition. This has been called the "mechanical" or "automatic" approach. Most omissions are unintentional -- a person simply forgets a particular debt and only remembers it after the bankruptcy petition has been filed or granted. However, it is a serious matter if you deliberately omit a debt from the petition. Full disclosure of all assets and liabilities is required by the 2005 Bankruptcy Abuse Prevention and Consumer Protection Act. A court may also turn down your bankruptcy petition and rule you are not entitled to a discharge of your debts now or in the future if it finds you have lied about your assets and liabilities. If you realize you've omitted a debt from your bankruptcy petition, you have several options. If the case has not yet been heard, you can file a motion to amend your petition and add the debt, a motion routinely granted by courts. If your petition already has been granted, you can ask to have the case reopened to add the debt so it can be discharged by the court. Of course, you also have the option of voluntarily repaying the debt. 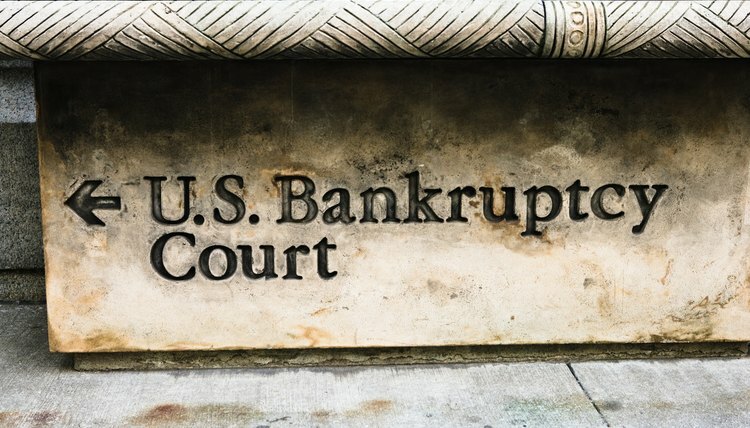 If you are in a jurisdiction that uses the automatic approach to omitted debts, there is no reason to ask the court to reopen a case to add another debtor in a Chapter 7, or "straight" bankruptcy, since the omitted debt was automatically discharged along with the other debts through the bankruptcy petition. If you are in a jurisdiction that uses the equitable approach, you might want to reopen the case to make sure the omitted debt is discharged by the bankruptcy court. However, you will have to pay court and attorney fees to reopen the case; it might not be worth it if the omitted debt is a small one. If you omit a debt under Chapter 13, which requires you to pay back your creditors within three to five years, you might have to petition the court to amend your repayment plan to account for the increased amount you owe.